From Remington Kane, author of the Tanner series. 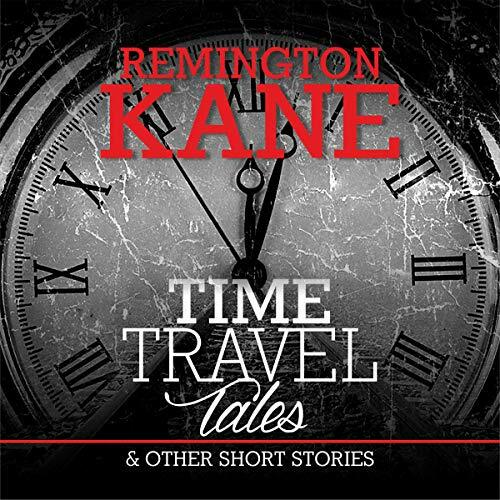 Time Travel Tales & Other Short Stories contains a dozen tales dealing with time travel, suspense, mystery, and a hit man named Tanner. "Anger Management", "Second Date", and "Competition" have appeared in the short-story collection titled Dropping My Shorts. "Whisper in the Pines" and "A Dark and Deadly Place" were also previously published. "The Grandfather Paradox", "The Grandson Paradox", "Theoretical", "Auld Lang Time", and its sequel, "Retrieval", were all previously published under the pen name of Nick Reynolds. The Tanner short story "Tanner Eight" and "A Stone’s Throw - Auld Lang Time 3" were written for this collection and have never been published before. This narrator has a nice, deep voice that is clear and easy to hear at all times. The first story took me a bit to get into, but by the second part of it, I began to enjoy it. The other stories were a little better in my opinion. None of these are feel-good, romantic stories, but they are full of time-travel, mind-bender situations that are intriguing. I loved the twist at the end of the last one--didn't see that coming! This is a nice collection of short stories, the time travel stories were well written, with a few nice twists. David does a good job with the narration, lots of stories, with new characters and locations, which he kept moving nicely. "This audiobook was provided by the author, narrator, or publisher at no cost in exchange for an unbiased review." A great collection of short stories! I really enjoyed the wit, humor, and intelligence in these stories. Some had me laughing, while others had me with the genius way they came together at the end! If you enjoy sci-fi, suspense, or even a little horror these stories are for you! Very well done and nicely narrated! I have received a free copy of this book in exchange for an unbiased review.